Since I’m going to college soon, I should learn how to cook better! My mom and sister were at Disneyland earlier in the week while my brother, dad, and I stayed at home. I was unsatisfied with the amount of take-out we ate the first night my mom was gone, so I decided to try out this cooking thing. I took photos of breakfast. 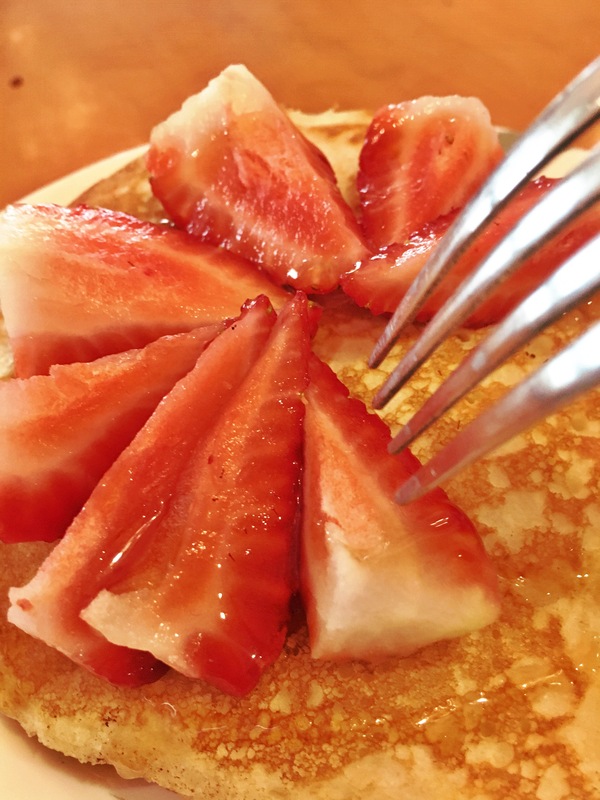 Buttermilk pancakes with strawberries on top with a syrup drizzle. My dad and brother don’t adore pancakes as much as me. More for me. 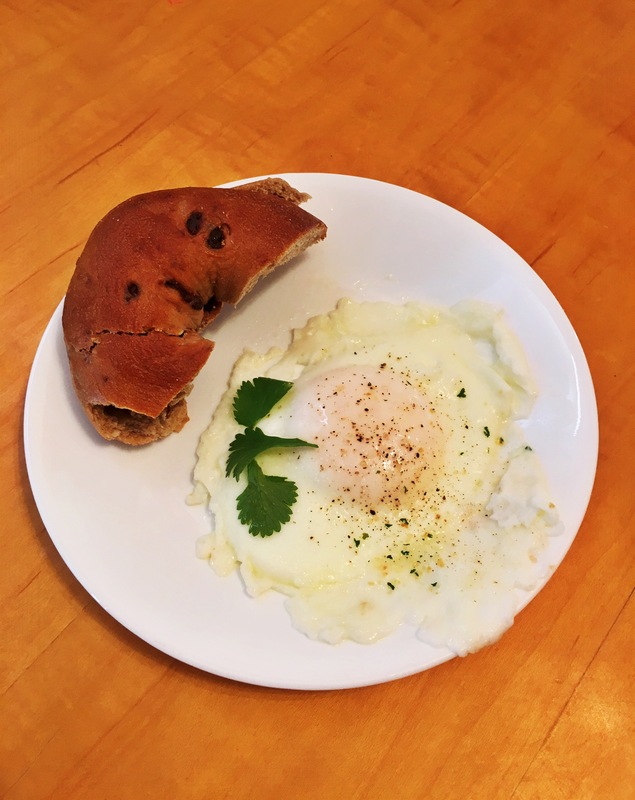 Chocolate chip bagel and fry-poached egg with cilantro, garlic salt, and pepper on top. Eggs are the quintessential brunch meal. Whether scrambled, poached, fried, or gently folded into an omelet, they’re the ideal morning food. I’m going to miss all the food at home when I go to college next year.